Drones first began to see regular use during the Vietnam War, and their roles in military conflicts have expanded since then. Today drones see extensive military use in a variety of roles including surveillance and targeted strikes. With recent technological advancements, however, drones have become exceedingly popular among hobbyists and law enforcement and are often used to capture aerial photographs and video. With this rapid increase in the domestic use of camera-carrying drones, growing concern about privacy rights has prompted government agencies such as the FAA, as well as many states, to pass legislation restricting the use of drones by citizens and businesses as well as certain government agencies. As public alarm increases, however, lawmakers must be careful to not over-regulate the innocent use of drones by hobbyists, while still protecting the privacy of the general public. 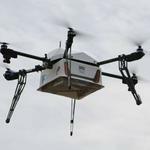 The domestic use of drones by government agencies such as law enforcement has seen strict regulation in recent years. This is likely because government use of drones poses a greater risk to a citizen’s privacy than commercial and hobbyist use. Commercial use of drones covers a broad spectrum of applications including agriculture, package delivery, and airborne internet routers. For many commercial uses of drones, video and photographs do not even need to be taken or recorded. Similarly, the type of technology readily available for hobbyist use is far less capable than that used by government agencies such as law enforcement. The latest camera systems available to hobbyists are just capable of filming professional grade movies. In other words, you won’t be seeing any high power camera clusters for your hobby drone anytime soon. The use of drones by law enforcement, however, often includes the filming and amassing of aerial video, which can be immediately or later analyzed and used as evidence in criminal cases. In a recent test of surveillance technology, the Los Angeles Sheriff’s Department deployed a high power camera cluster on a civilian aircraft above the city to capture and record video of a ten mile square area. 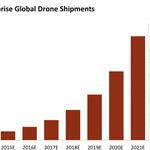 The technology is being developed for use on unmanned aerial systems. When considering both duration and intent, this type of wide area surveillance, as well as more localized drone surveillance, poses a greater risk to privacy than most commercial or hobbyist uses of drones. In addition to government agencies, some regulations have been passed restricting the commercial and private use of drones in public air space. Admittedly, most of these regulations have been passed with the safety of public air space and aerial vehicles in mind, not privacy concerns. The question must be posed then, should states pass legislation restricting the use of drones by private citizens and businesses to address privacy concerns? The short answer is no. This is because laws governing public spaces and photography can and have been applied to the use of aerial photography platforms when used in the public air space. There is, in fact, a substantial body of law which has upheld the right of citizens to take photographs of people and things that are plainly visible from public spaces. One such example is the Supreme Court case, Florida v. Riley, in which it was ruled that a police officer did not need a warrant to observe a person’s property from the public airspace above it. It is easy to see how this ruling can be applied to the case of aerial photography by a private citizen using an unmanned aerial vehicle. As long as the UAV and its pilot remain in a public space, any photography or videography which takes place should be treated under the law the same as traditional photography. This is because, in public spaces, there is no expectation of privacy. The increasing use of drones in journalism should also be considered here. If states passed legislation restricting what businesses can do with drones, this may affect journalists using drones for reporting purposes and thus impinge on their right of freedom of press. So what are the advantages of regulating the private use of drones? Well, there is the obvious advantage of increasing the safety of the public air space for both manned and unmanned aircraft. For example, some states have passed laws to keep drones away from forest fires and other emergency situations. From a privacy standpoint, however, apart from appeasing public concern, there are few if any advantages to regulating the use of drones by private citizens. This is because drones are no more effective at invading people’s privacy than other photography technologies that have been around for a much longer time. Some disadvantages do arise when regulating private use of drones. One such disadvantage is that it increased regulation can prevent hobbyist drone users, who have no malicious intent, from taking part in activities related to their hobby. Another disadvantage is that increased regulations could slow advancement of a developing technology by decreasing the demand for drones. Of course, there are some counter points to these statements. When considering whether government or private use of drones poses a greater threat to privacy, it should be noted that advancements are making technologies such as thermal cameras more accessible to the public. With such increases in capability, hobby drones will be increasingly capable of impinging on people’s privacy. With this in mind, lawmakers may have to make legislation restricting the use of such technologies as compared to traditional cameras. In addition, many government agencies use drones for reasons other than filming and surveillance. An example of this is drone use for search and rescue. The bigger picture, however, is that in general, the use of drones by government agencies poses a greater risk to the privacy rights of citizens than commercial or hobbyist use. The drones used by hobbyists are generally less technologically advanced and usually neither hobbyists nor commercial drone users have the intent to take part in surveillance activities. Furthermore, there are already laws in place to protect the privacy of citizens when considering the use of cameras and photography and these can be extended to the use of drones. Thus, it is unnecessary for further regulations to be imposed on the private use of drones to address privacy concerns. Lastly, besides the safety of public air space, there are few advantages to regulating the use of drones by private citizens or businesses.